The management of our home owners or condo association is serious business. Service is West Broward Community Management's commitment to your community. As professionals,we customize our services and programs to best solve the specific needs of your Association. In other words, if you don't need the service, why pay for it? Family owned and operated since 1994, our principals boast more than 50 years of combined professional community management experience and a business philosophy based upon honesty and integrity. Attending to concerns, paying attention to details, and providing solutions is a primary goal. 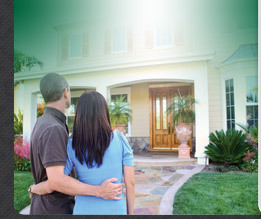 With years of prior management knowledge and operations savvy, WBCM boasts a staff that will handle many of the unpleasant tasks of typical property ownership - late night emergencies, inspections, evictions, owner/tenant requests, and just about any issue that often pits neighbor against neighbor. Full accounting and claim filing services are also available. WBCM is a licensed management firm that understands the issues and emotions that arise from residents and the Board,and works to ensure amicable resolutions. That's why we proudly maintain long-term relationships with our clients. Let our team help guide your team towards an Association that is well-managed and working to maintain residents' investments and lifestyles. From single-family communities to large, multi-unit complexes, and office condos, West Broward Community Management performs services that are cost-efficient and help maintain property values. Contact us to learn how we can help make the role of your Board of Directors significantly easier, while creating a truly enjoyable lifestyle within your Association.